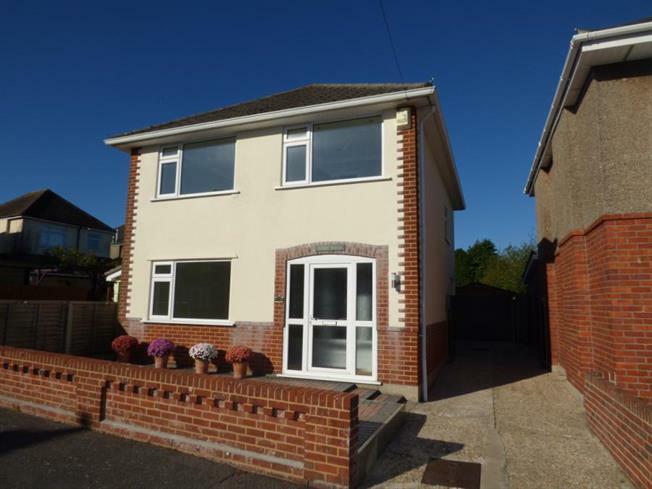 3 Bedroom Detached House For Sale in Bournemouth for £355,000. Refurbished and modernised three double bedroom detached family home in Wallisdown offered with no forward chain and situated in the popular St Marks School Catchment. The further accommodation comprises a bright and spacious Entrance Hall, Sitting Room and modern fitted Kitchen/Diner with sliding double glazed patio doors to the large rear garden. On the first floor in addition to the three double bedrooms there is a modern Bathroom. The property also benefits from Gas Central Heating, Double Glazing , plastic Soffitts and Facias. To side of the property there is a wide driveway which provides off road parking with access via double wooden gates to the large rear garden and garage. Hood Crescent is situated close to local shopping facilities at Wallisdown with transport links to both Bournemouth and Poole town centres.